I have been using the constant current version of my LDBiasDriver and I felt that it would be handy to be able to control the current, monitor it, etc. via a PC. To this end, I designed and have so far had the PCB manufactured for my "LDBiasController". 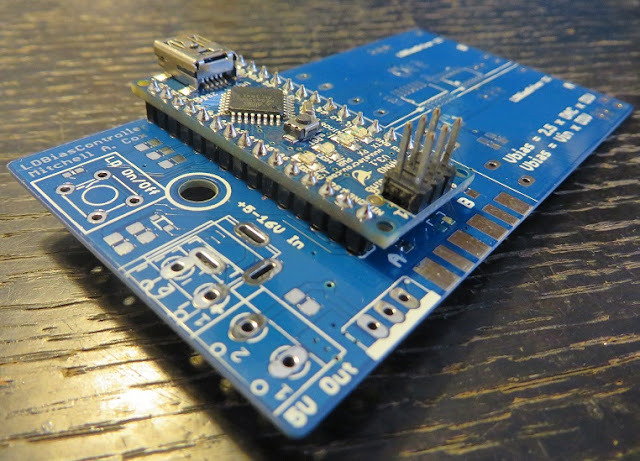 This new board provides a variable resistance to two LDBiasDrivers as well as monitors the current using an Arduino Nano. I plan to create a serial protocol to do the control and monitoring but I will create a MATLAB or C# based GUI. 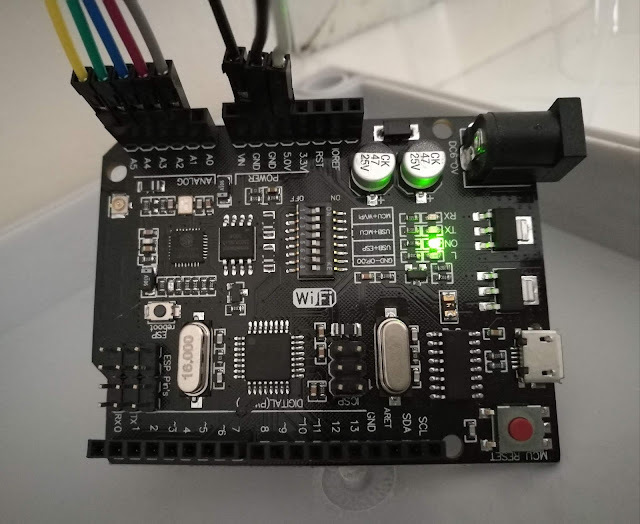 In terms of specifications, initially I was going to use a digital potentiometer but the cost of versions with more than 256 steps was prohibitive. I considered (and even designed) a version with two pots to create about 16 bits of resolution but it would have been non-linear and thus hard to control accurately. In the end, I went with the MCP4726 Digital to Analog Converter (DAC) which provides 12 bits of resolution from 0 to 2.5V. I also wanted an external input capability which can be switched in (I used a 4066 IC for this) to modulate the laser drivers at up to 1 kHz (10 kHz is possible with higher noise version of the MLD203 drivers from ThorLabs). There is no way to guarantee or even sometimes generate a 0-2.5V external signal, so I opted to put a digital pot to attenuate this signal if need be. I am able to switch the output of the DACs through the digital pots too which further enhances the resolution to about 20 bits (I hope)! As a side note, I had these manufactured at Elecrow. I'm super impressed with them as they added slots to the DC power jack on the board on their own accord saving me a huge potential headache in future!